Map of Alexander's empire, extending east and south of Macedonia. The conquests of Alexander the Great in the late 4th century BCE spread Greek culture and colonization—a process of cultural change called Hellenization—over non-Greek lands, including the Levant. This gave rise to the Hellenistic age, which sought to create a common or universal culture in the Alexandrian empire based on that of 5th- and 4th-century BCE Athens (see also Age of Pericles), along with a fusion of Near Eastern cultures. The period is characterized by a new wave of Greek colonization which established Greek cities and Kingdoms in Asia and Africa, the most famous being Alexandria in Egypt. New cities were established composed of colonists who came from different parts of the Greek world, and not from a specific metropolis ("mother city") as before. These Jews living in countries west of the Levant formed the Hellenistic diaspora. The Egyptian diaspora is the most well-known of these. It witnessed close ties, indeed the firm economic integration, of Judea with the Ptolemaic kingdom ruled from Alexandria, and the friendly relations which existed between the royal court and the leaders of the Jewish community. This was a diaspora of choice, not of imposition. Information is less robust regarding diasporas in other territories. It suggests that the situation was by and large the same as it was in Egypt. Adaptation to Hellenic culture did not require compromise of Jewish precepts or conscience. When a Greek gymnasium was introduced into Jerusalem, it was installed by a Jewish High Priest. And other priests soon engaged in wrestling matches in the palaestra. They plainly did not reckon such activities as undermining their priestly duties. The main religious issue dividing Hellenized Jews from traditional Jews was the application of biblical laws in a Hellenistic (or Roman or other non-Jewish) empire. Under the suzerainty of the Ptolemies and later the Seleucids, Judea witnessed a period of peace and protection of its institutions. For their aid against his Ptolemaic enemies, Antiochus III promised his Jewish subjects a reduction in taxes and funds to repair the city of Jerusalem and the Temple. Relations deteriorated under Antiochus's successor Seleucus IV, and then, for reasons not fully understood, his successor Antiochus IV Epiphanes drastically overturned the previous policy of respect and protection, banning key Jewish religious rites and traditions in Judea (though not among the diaspora) and sparking a traditionalist revolt against Greek rule. Out of this revolt was formed an independent Jewish kingdom known as the Hasmonaean Dynasty, which lasted from 165 BCE to 63 BCE. The Hasmonean Dynasty eventually disintegrated in a civil war, which coincided with civil wars in Rome. The Hasmonean civil war began when the High Priest Hyrcanus II (a supporter of the Pharisees) was overthrown by his younger brother, Aristobulus II (a supporter of the Sadducees). A third faction, consisting primarily of Idumeans from Maresha, led by Antipater and his son Herod, re-installed Hyrcanus, who, according to Josephus, was merely Antipater's puppet. In 47 BCE, Antigonus, a nephew of Hyrcanus II and son of Aristobulus II, asked Julius Caesar for permission to overthrow Antipater. Caesar ignored him, and in 42 BCE Antigonus, with the aid of the Parthians defeated Herod. Antigonus ruled for only three years, until Herod, with the aid of Rome, overthrew him and had him executed. Antigonus was the last Hasmonean ruler. The major literary product of the contact of Judaism and Hellenistic culture is the Septuagint, as well as the so-called apocrypha and pseudepigraphic apocalyptic literature (such as the Assumption of Moses, the Testaments of the Twelve Patriarchs, the Book of Baruch, the Greek Apocalypse of Baruch, etc.) dating to the period. Important sources are Philo of Alexandria and Flavius Josephus. Some scholars consider Paul of Tarsus to be a Hellenist as well, even though he himself claimed to be a Pharisee (Acts 23:6). Philo of Alexandria was an important apologist of Judaism, presenting it as a tradition of venerable antiquity that, far from being a barbarian cult of an oriental nomadic tribe, with its doctrine of monotheism had anticipated tenets of Hellenistic philosophy. Philo could draw on Jewish tradition to use customs which Greeks thought as primitive or exotic as the basis for metaphors: such as "circumcision of the heart" in the pursuit of virtue. Consequently, Hellenistic Judaism emphasized monotheistic doctrine (heis theos), and represented reason (logos) and wisdom (sophia) as emanations from God. 'Ḥoni' became 'Menelaus'; 'Joshua' became 'Jason' or 'Jesus.' The Hellenic influence pervaded everything, and even in the very strongholds of Judaism it modified the organization of the state, the laws, and public affairs, art, science, and industry, affecting even the ordinary things of life and the common associations of the people […] The inscription forbidding strangers to advance beyond a certain point in the Temple was in Greek; and was probably made necessary by the presence of numerous Jews from Greek-speaking countries at the time of the festivals (comp. the "murmuring of the Grecians against the Hebrews," Acts vi. 1). The coffers in the Temple which contained the shekel contributions were marked with Greek letters (Sheḳ. iii. 2). It is therefore no wonder that there were synagogues of the Libertines, Cyrenians, Alexandrians, Cilicians, and Asiatics in the Holy City itself (Acts vi. 9). the local, autochthonous descendants of Greek or Greco-Syrian converts to mainstream Judaism – known as proselytes (Greek: προσήλυτος/proselytes) and Greek-speaking Jews born of mixed marriages. [North African] Cyrenian Jews were of sufficient importance in those days to have their name associated with a synagogue at Jerusalem (Acts 6:9). And when the persecution arose about Stephen [a Hellenized Syrian-Cilician Jew], some of these Jews of Cyrene who had been converted at Jerusalem, were scattered abroad and came with others to Antioch and [initially] preached the word "unto the Jews only" (Acts 11:19, 20 the King James Version), and one of them, Lucius, became a prophet in the early church there [the nascent Greek 'Orthodox' community of Antioch]. But Paul, himself a relatively 'liberal' Hellenist convert to Christianity, was later threatened by more religiously conservative Jewish Hellenists as seen in the New Testament Acts 9 verse 29: "And he spoke boldly in the name of the Lord Jesus and disputed against the Hellenists, but they attempted to kill him." There is neither Jew nor Greek: there is neither bond nor free: there is neither male nor female ... (Galatians 3:28). Joshua. 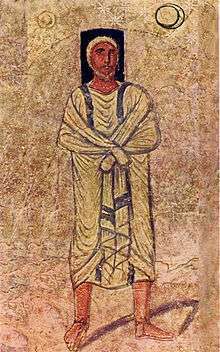 Fresco from Dura-Europos synagogue. The reasons for the decline of Hellenistic Judaism are obscure. It may be that it was marginalized by, absorbed into, or became Early Christianity (see the Gospel according to the Hebrews). The Epistles of Paul and the Acts of the Apostles report that, after his initial focus on the conversion of Hellenized Jews across Anatolia, Macedonia, Thrace and Northern Syria without criticizing their laws and traditions, Paul of Tarsus eventually preferred to evangelize communities of Greek and Macedonian proselytes and Godfearers, or Greek circles sympathetic to Judaism: the Apostolic Decree allowing converts to forego circumcision made Christianity a more attractive option for interested pagans than Rabbinic Judaism, which required ritual circumcision for converts (see Brit milah). See also Circumcision controversy in early Christianity and the Abrogation of Old Covenant laws. The attractiveness of Christianity may, however, have suffered a setback with its being explicitly outlawed in the 80s CE by Domitian as a "Jewish superstition", while Judaism retained its privileges as long as members paid the fiscus Judaicus. it speaks of "Hellenists" and "Hebrews." The existence of these two distinct groups characterizes the earliest Christian community in Jerusalem. The Hebrews were Jewish Christians who spoke almost exclusively Aramaic, and the Hellenists were also Jewish Christians whose mother tongue was Greek. They were Greek-speaking Jews of the Diaspora, who returned to settle in Jerusalem. To identify them, Luke uses the term Hellenistai. When he had in mind Greeks, gentiles, non-Jews who spoke Greek and lived according to the Greek fashion, then he used the word Hellenes (Acts 21.28). As the very context of Acts 6 makes clear, the Hellenistai are not Hellenes. As Jewish Christianity originated at Jerusalem, so Gentile Christianity started at Antioch, then the leading center of the Hellenistic East, with Peter and Paul as its apostles. From Antioch it spread to the various cities and provinces of Syria, among the Hellenistic Syrians as well as among the Hellenistic Jews who, as a result of the great rebellions against the Romans in A.D. 70 and 130, were driven out from Jerusalem and Palestine into Syria. Both Early Christianity and Early Rabbinical Judaism were far less 'orthodox' and less theologically homogeneous than they are today; and both were significantly influenced by Hellenistic religion and borrowed allegories and concepts from Classical Hellenistic philosophy and the works of Greek-speaking Jewish authors of the end of the Second Temple period before the two schools of thought eventually affirmed their respective 'norms' and doctrines, notably by diverging increasingly on key issues such as the status of 'purity laws', the validity of Judeo-Christian messianic beliefs, and, more importantly, the use of Koiné Greek and Latin as liturgical languages replacing Biblical Hebrew...etc. The word synagogue itself comes from Jewish Koiné Greek, a language spoken by Hellenized Jews across Southeastern Europe (Macedonia, Thrace, Northern Greece), North Africa and the Middle East after the 3rd century BCE. Many synagogues were built by the Hellenistai or adherents of Hellenistic Judaism in the Greek Isles, Cilicia, Northwestern and Eastern Syria and Northern Israel as early as the first century BCE- notably in Delos, Antioch, Alexandretta, Galilee and Dura-Europos: because of the mosaics and frescos representing heroic figures and Biblical characters (viewed as potentially conductive of "image worship" by later generations of Jewish scholars and rabbis), many of these early synagogues were at first mistaken for heathen Greek temples or Antiochian Greek Orthodox churches. "The mixture of Roman, Greek, and Jewish elements admirably adapted Antioch for the great part it played in the early history of Christianity. The city was the cradle of the church". Some typically Grecian "Ancient Synagogal" priestly rites and hymns have survived partially to the present, notably in the distinct church services of the followers of the Melkite Greek Catholic church and its sister-church the Greek Orthodox Church of Antioch in the Hatay Province of Southern Turkey, Syria, Lebanon, Northern Israel, and in the Greek-Levantine Christian diasporas of Brazil, Mexico, the United States and Canada. Members of these communities still call themselves "Rûm", literally "Roman" and referring to Asian-Greeks in Turkish, Persian and Levantine Arabic. In that context, the term Rûm is preferred over Yāvāni or Ionani, literally "Ionian" and referring to European-Greeks in Ancient Hebrew, Sanskrit and Classical Arabic. Andronicus ben Meshullam, Egyptian Jewish scholar of the 2nd century BCE. One of the first known advocates of early Pharisaic (proto-Rabbinical) 'orthodoxy' against the Samaritans. Antigonus of Sokho, also known as Antigonos of Socho, was the first scholar of whom Pharisee (proto-Rabbinical) tradition has preserved not only the name but also an important theological doctrine. He flourished about the first half of the third century BCE. According to the Mishnah, he was the disciple and successor of Simon the Just. Antigonus is also the first noted Jew to have a Greek name, a fact commonly discussed by scholars regarding the extent of Hellenic influence on Judaism following the conquest of Judaea by Alexander the Great. Antigonus II Mattathias (known in Hebrew as Matityahu) was the last Hasmonean king of Judea. Antigonus was executed in 37 BCE, after a reign of three years during which he led the national struggle of the Jews for independence from the Romans. Mariamne I, Jewish princess of the Hasmonean dynasty, was the second wife of Herod the Great. Onias I (Hellenized form of Hebrew name ((Greek: Ὀνίας) from (Hebrew: Honiyya) was the son of Jaddua mentioned in Nehemiah. According to Josephus, this Jaddua is said to have been a contemporary of Alexander the Great. I Maccabees regards Onias as a contemporary of the Spartan king Areus I (309-265 BCE). Onias I is thought to be the father or grandfather of Simon the Just. Ben Sira, also known as Yesu'a son of Sirach, leading 2nd century BCE Jewish scholar and theologian who lived in Jerusalem and Alexandria, author of the Wisdom of Sirach, or "Book of Ecclesiasticus". Simeon the Just or Simeon the Righteous (Hebrew: שמעון הצדיק‎‎ Shimon HaTzaddik) was a Jewish High Priest during the time of the Second Temple. Simon of Cyrene (שמעון "Hearkening; listening", Standard Hebrew Šimʿon, Tiberian Hebrew Šimʿôn), Libyan Jew born at the end of the 1st C. BC; lived in Jerusalem around 30 AD. Believed to have been "forced [by Roman soldiers] to bear the cross of Jesus after the crucifixtion". His home town, Cyrene, in Northeastern Libya, was a Greek colony, with a large Jewish community where 100,000 Judean Jews had been deported and forced to settle during the reign of Ptolemy Soter (323–285 BC), the Greco-Macedonian ruler of Egypt, following his invasion of Israel. Trypho the Jew, thought to be a 2nd-century CE rabbi opposed to Christian apologist Justin Martyr, whose Dialogue with Trypho is paradoxically "equally influenced by Greek and Rabbinic thought"
1 2 Ulrich Wilcken, Griechische Geschichte im Rahmen der Alterumsgeschichte. ↑ Syracuse University. "The Jewish Diaspora in the Hellenistic Period"
↑ Gruen, Erich S. (1997). "Fact and Fiction: Jewish Legends in a Hellenistic Context". Hellenistic Constructs: Essays in Culture, History, and Historiography. University of California Press. pp. 72 ff. 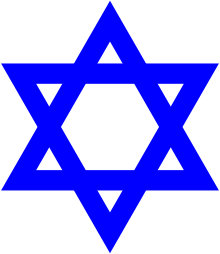 ↑ "Hellenism", Jewish Encyclopedia, Quote: "Post-exilic Judaism was largely recruited from those returned exiles who regarded it as their chief task to preserve their religion uncontaminated, a task that required the strict separation of the congregation both from all foreign peoples (Ezra x. 11; Neh. ix. 2) and from the Jewish inhabitants of Palestine who did not strictly observe the Law (Ezra vi. 22; Neh. x. 29). " 1 2 3 Gruen, Erich S. (1993). "Hellenism and Persecution: Antiochus IV and the Jews". In Green, Peter. Hellenistic History and Culture. University of California Press. pp. 238 ff. ↑ McGarvey on Acts 16: "Yet we see him in the case before us, circumcising Timothy with his own hand, and this 'on account of certain Jews who were in those quarters. '" ↑ "making themselves foreskins"; I Macc. i. 15; Josephus, "Ant." xii. 5, § 1; Assumptio Mosis, viii. ; I Cor. vii. 18;, Tosef. ; Talmud tractes Shabbat xv. 9; Yevamot 72a, b; Yerushalmi Peah i. 16b; Yevamot viii. 9a; ; Catholic Encyclopedia: Circumcision: "To this epispastic operation performed on the athletes to conceal the marks of circumcision St. Paul alludes, me epispastho (1 Corinthians 7:18)." ↑ " Conflict and Diversity in the Earliest Christian Community", Fr. V. Kesich, O.C.A. ↑ "Antioch," Encyclopaedia Biblica, Vol. I, p. 186 (p. 125 of 612 in online .pdf file.